Let's discuss and see how we can help you succeed! We offer different services to help you get set up for success. 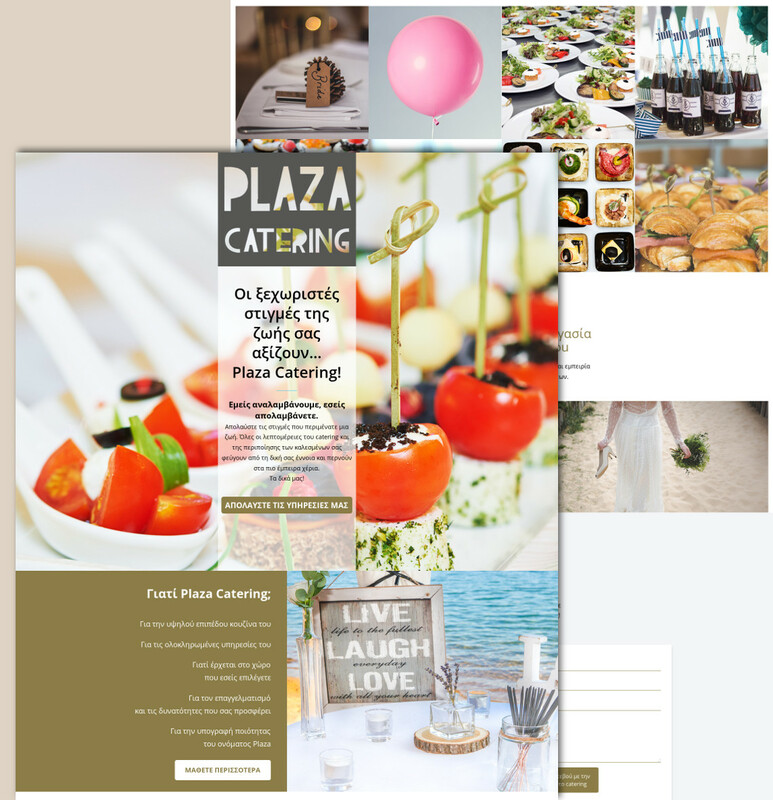 We can create for you custom responsive designs, to be different. To promote your expertise and your products, without looking the same with the mass of companies. To develop online solution for your business is what we like to do. But we mostly enjoy to see you thrive. We host a small number of websites on each of our dedicated servers, to secure that you are getting the most of their horse power. We take daily backups and make sure everything is secure. Search Engine Optimization will help drive traffic your way. It starts with the structure of your website, the load times and many other factors, that we have the tricks to rule them all. When the development finishes we do not leave you high and dry. We keep on supporting your needs, from the smallest things to the biggest. When you have a problem, is our problem. Our experience cooperating with Digital Agencies makes us the ideal partner for the development of your next application on the biggest social network of the world. You want to start selling online your products, and you want someone to help you find the best solution? It is time to talk with us, and start building your online step for your business. We work closely with experienced photographers to support you and your content with professional photographs. We can capture from your gourmet plates, to your event from a height of 20 meters. We are proud for what we do, and we would like to show you why! 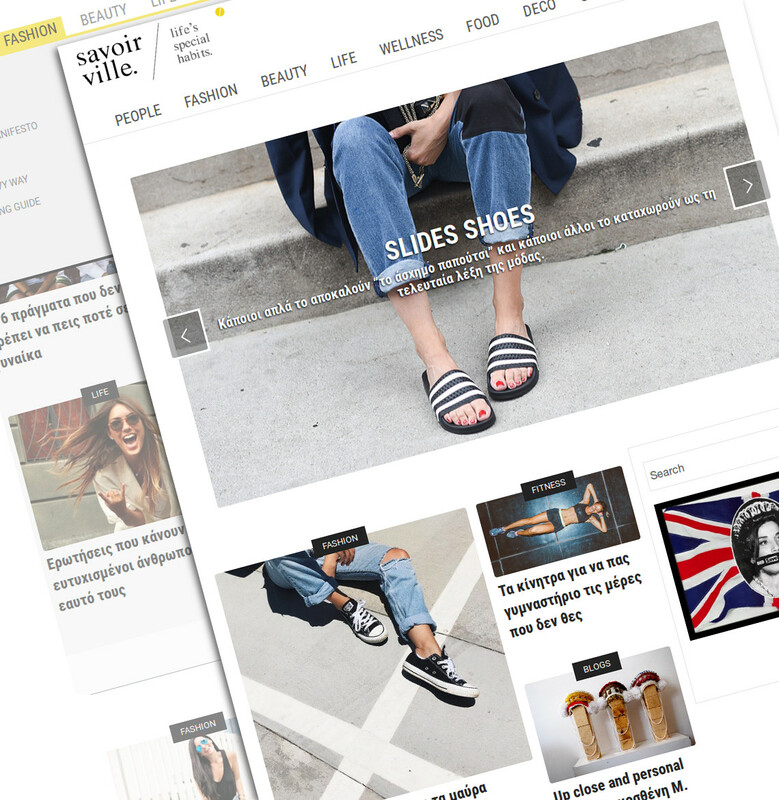 Savoir Ville is a fashion and life blog, with a lot of articles and many readers per day. We host the website at our dedicated servers, providing support and help to the owners. Back at May 2017 we totally redesigned the website, keeping all the content (articles, categories, comments, users etc) in place, with a responsive design and a better experience for the visitors, reducing the loading times under 8 seconds. The website is based on the latest version of Wordpress. 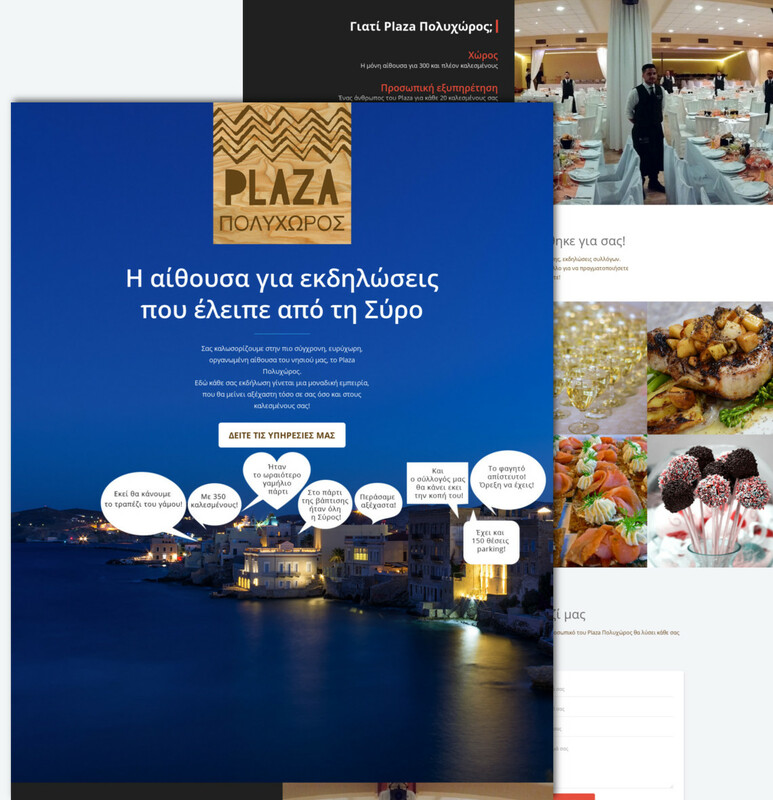 Plaza Syros provides catering services for weddings and other events, at the Syros island. 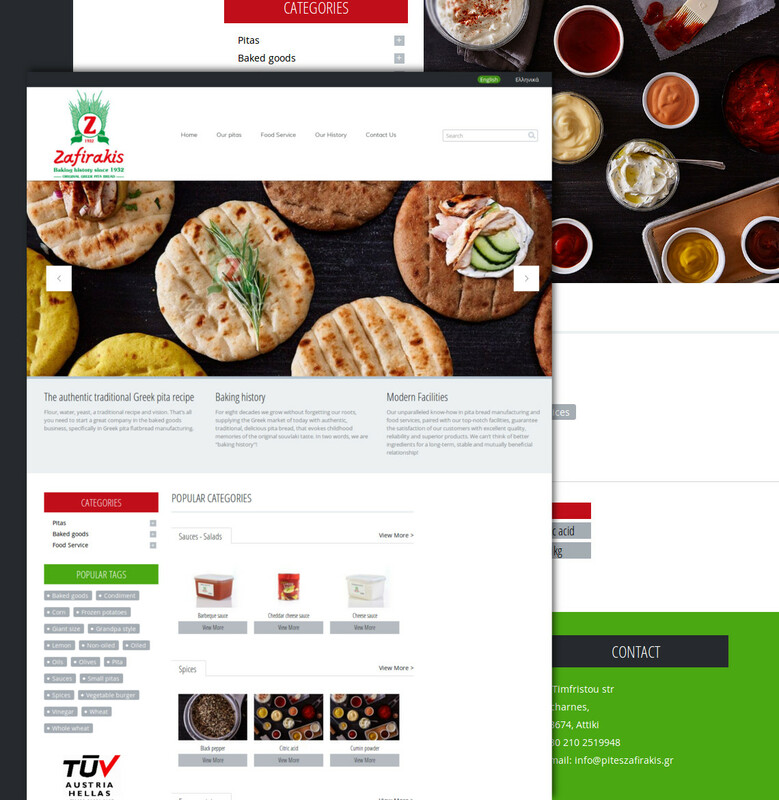 We developed the new website based on PHP and HTML, using the responsive design 1kg created. 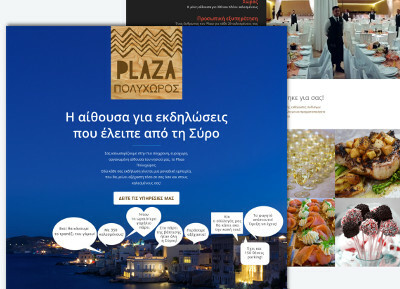 Plaza Syros provides room and services for weddings and other events, at the Syros island. 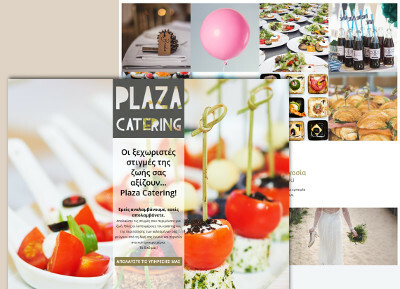 We developed the new website based on PHP and HTML, using the responsive design 1kg created. 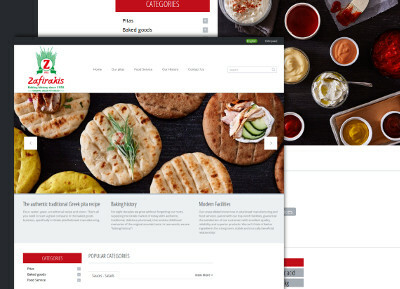 Pites Zafirakis is a company that manufacture traditional Greek pita for restaurants. 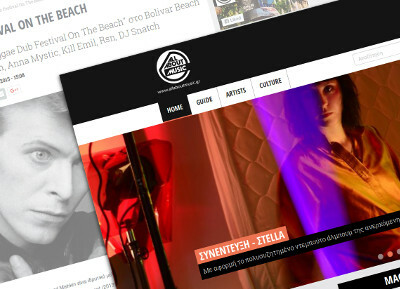 We developed the new website based on Drupal, using the responsive design 1kg created. We also host the website at our dedicated servers, providing support and help to the owner. 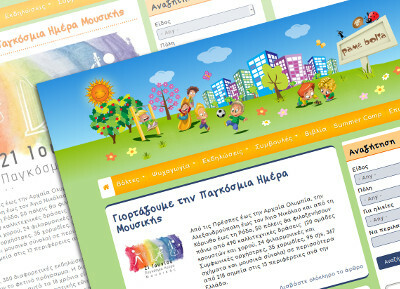 PameBolta is one of the biggest portals for kids and parents in Greece. We created a unique responsive design, having in mind users' experience and the big number of articles. The website is based on Drupal and is hosted at our dedicated servers, providing support and help to the owner. 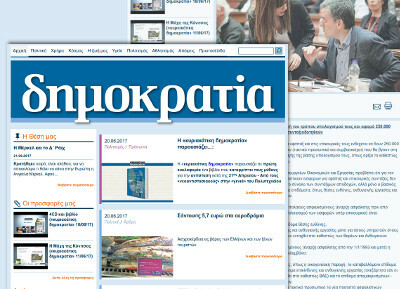 We created the new website of DimokratiaNews, which is the online version of the newspaper δημοκρατία. 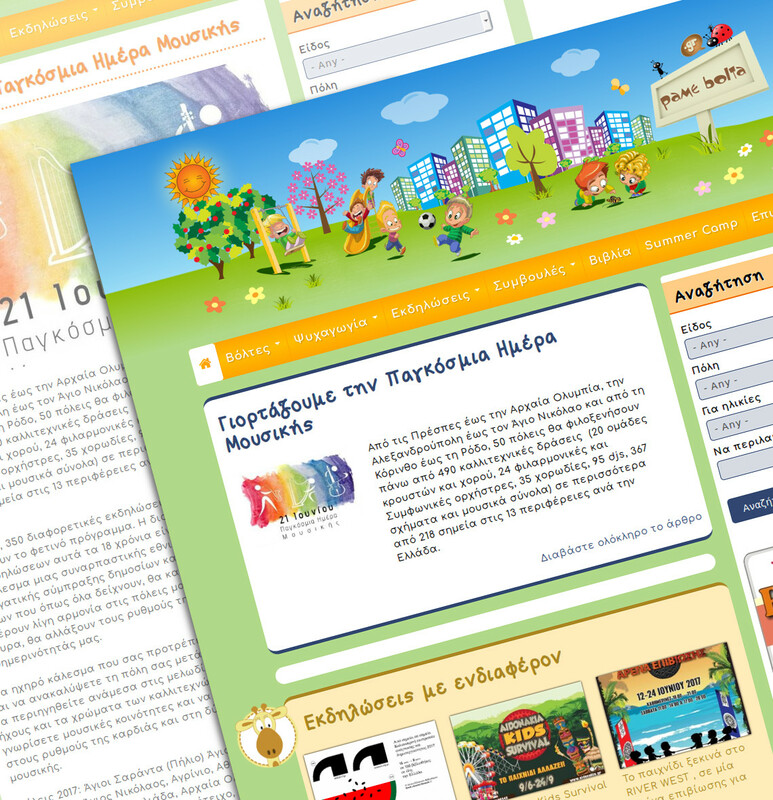 We started our cooperation with Dimokrtikos Typos since 2012, supporting their old site. Since then we upgraded the website from Drupal 6 to Drupal 7, with a new look and feel, reducing the load time. We also provide daily support on requested changes or problems that might occur with the third party hosting provider. 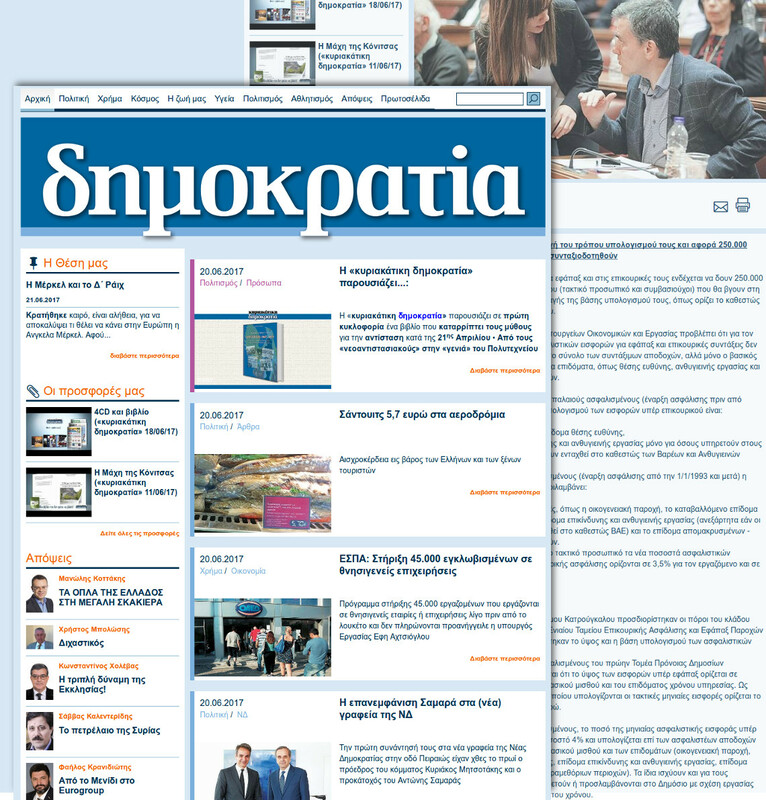 EspressoNews is the online version of the newspaper Espresso. One of the first things we did was to transfer more than 30.000 articles and images from the old website, which was based on a custom third party CMS, to Drupal. Then we worked on a fresh and modern design to provide a better experience for the visitors. We also provide daily support on requested changes or problems that might occur with the third party hosting provider. 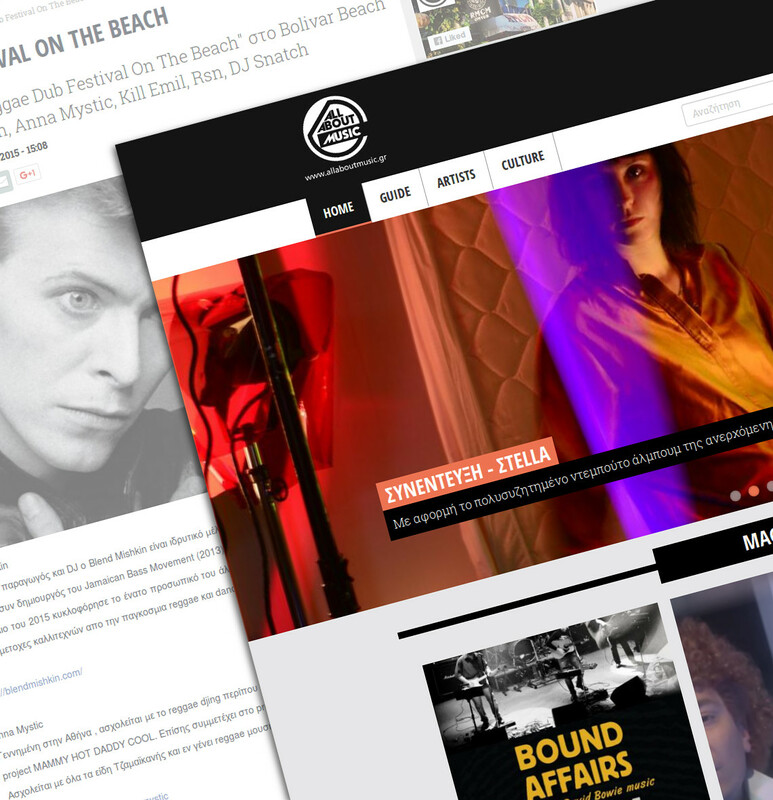 All About Music is a music portal with plenty of information about band, singers, live stages and music events. We worked on it's responsive redesign and data structure. Now it is hosted at our dedicated servers, providing support and help to the owner. It is based on Drupal. 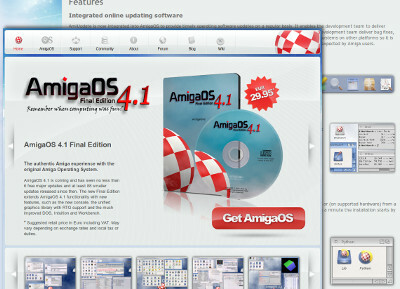 AmigaOS.net is a website dedicated to Amiga OS 4, an almost complete rewrite for modern times of the legendary Amiga operating system, actively developed by Hyperion Entertainment. We had the opportunity to lead a team of five people all around the world, who cooperated to create a website for the fans. We adapted the design and created the whole data structure of the information. Of 'course, we used Drupal to develop the website. The plethora of the technologies we love to use, give us the flexibility to adapt the best solution for your needs!